The Design House 560326 Geneva 24-Inch Double Towel Bar adds an elegant accent to any bathroom wall with a unique design and quality appearance. 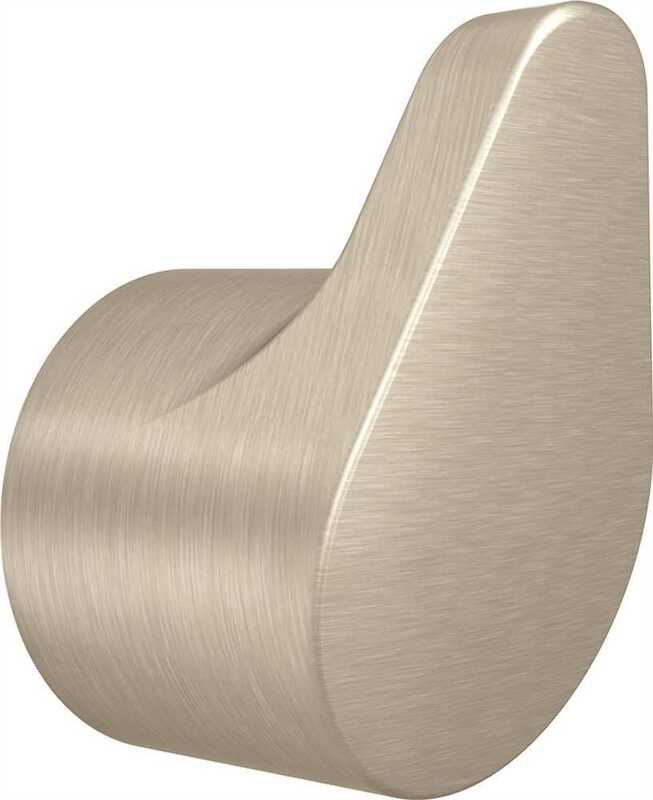 This modern towel bar is constructed of zinc and brass, finished in satin nickel and measures 24-inches. Ez anchor mounts are included for quick installation on drywall and a mounting template is conveniently printed on the back of the package. Anchors are a cleaner alternative to plugs and they are well-known for their steadfast strength and intuitive design. 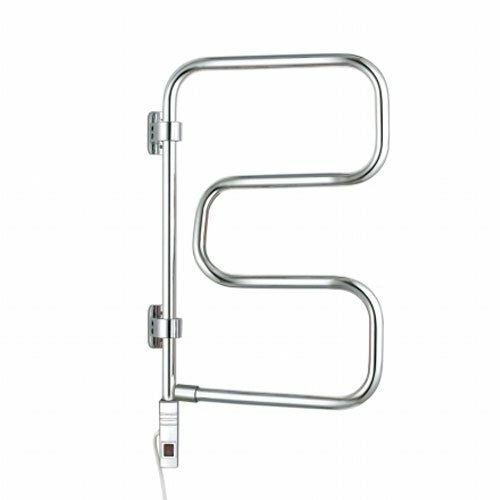 The double bar design is ideal for hanging multiple towels in a bathroom or closet. The Geneva collection features a matching toilet paper holder, robe hook and towel ring for a complete bathroom set to enjoy for years to come. 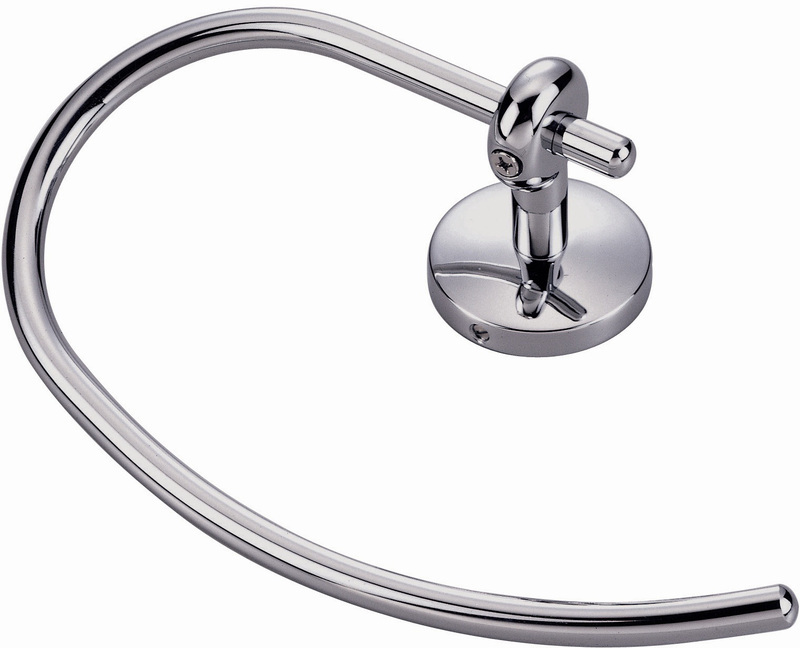 The Design House 560326 Geneva 24-Inch Double Towel Bar comes with a 1-year limited warranty that protects against defects in materials and workmanship. WingIts' 24 In. Master Racks are the world's strongest towel shelf and include Master Anchors, the World's Strongest Fastener, for easy installation - no blocking required. Made with 50% more stainless steel, longer retaining screws so the top shelf never sags and stainless steel back plates behind the escutcheons for added stability. Rated at 50 lbs. this towel shelf is built to last. | Structural satin stainless steel�construction | Includes�MASTER�Anchors for easy�installation | Installs in minutes, lasts a lifetime | Engineered for�durability Does NOT come with mounting hardware. WingIts' 24 In. Master Racks are the world's strongest towel shelf and include Master Anchors, the World's Strongest Fastener, for easy installation - no blocking required. Made with 50% more stainless steel, longer retaining screws so the top shelf never sags and stainless steel back plates behind the escutcheons for added stability. Rated at 50 lbs. this towel shelf is built to last. | Master Rack system installs with the patented WingIt fastening system with more than twice the strength of all other towel racks and does not require blocking | Master Rack can be installed where needed and used as an aid in getting in/out of the tub while holding many towels | Requires 3/4 In. hole for installation-use with APACHE200 industrial carbide drill bit, rated at 200 holes in ceramic wall tile | Other products available: Oval structural bath accessories, grab bars in satin, bright, knurled, peened, painted, ABS plastic and nylon coated, shower seats and tub benches Does NOT come with mounting hardware. 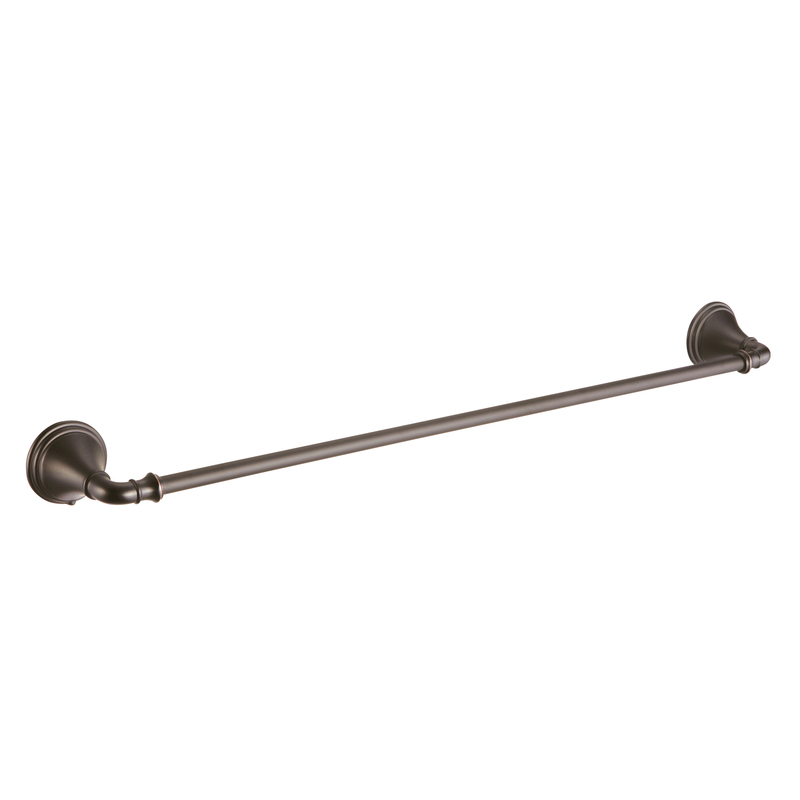 The Design House 561027 Oakmont 24-Inch Towel Bar adds an elegant accent to any bathroom wall. 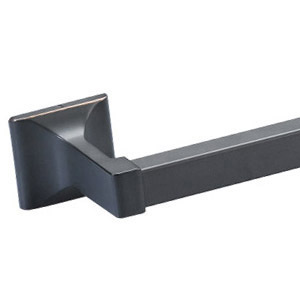 This sleek towel bar is constructed with zinc and aluminum, finished in oil rubbed bronze and measures 24-inches. Ez anchor mounts are included for quick installation on drywall and a mounting template is conveniently printed on the back of the package. Anchors are a cleaner alternative to plugs and they are well-known for their steadfast strength and intuitive design. This bar is sophisticated with practical sturdiness for hanging multiple towels. 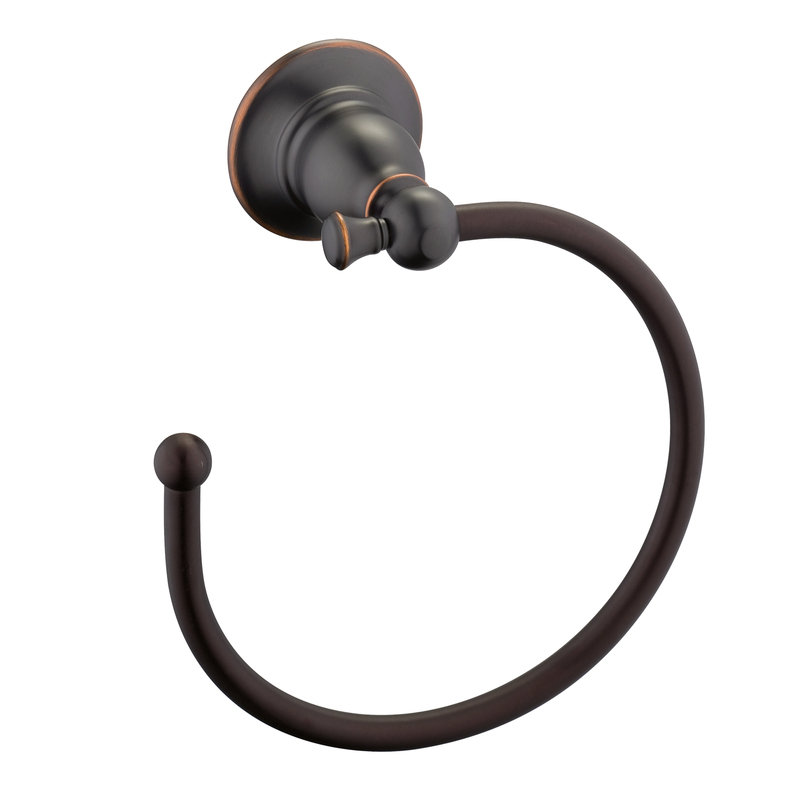 The Dunhill collection features a matching toilet paper holder, robe hook and towel ring for a complete bathroom set to enjoy for years to come. The Design House 561027 Oakmont 24-Inch Towel Bar comes with a 1-year limited warranty that protects against defects in materials and workmanship. 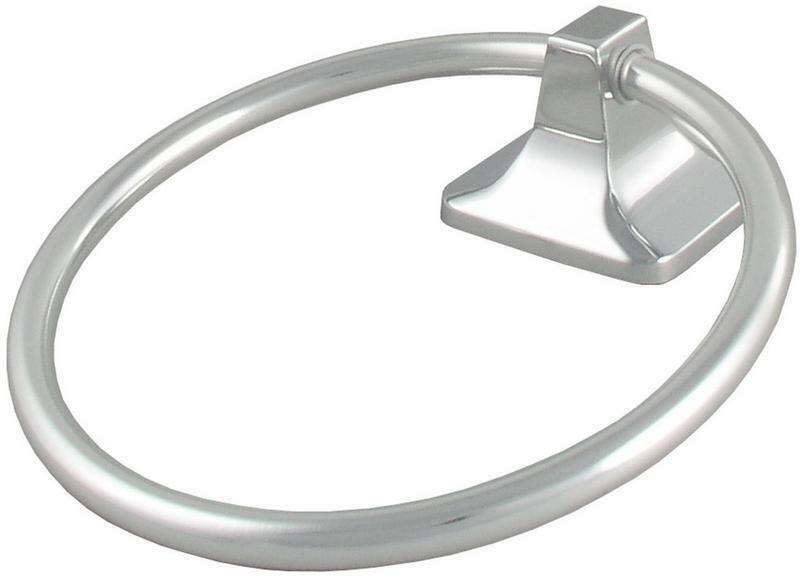 The Design House 561035 Oakmont Towel Ring adds an elegant accent to any bathroom wall. 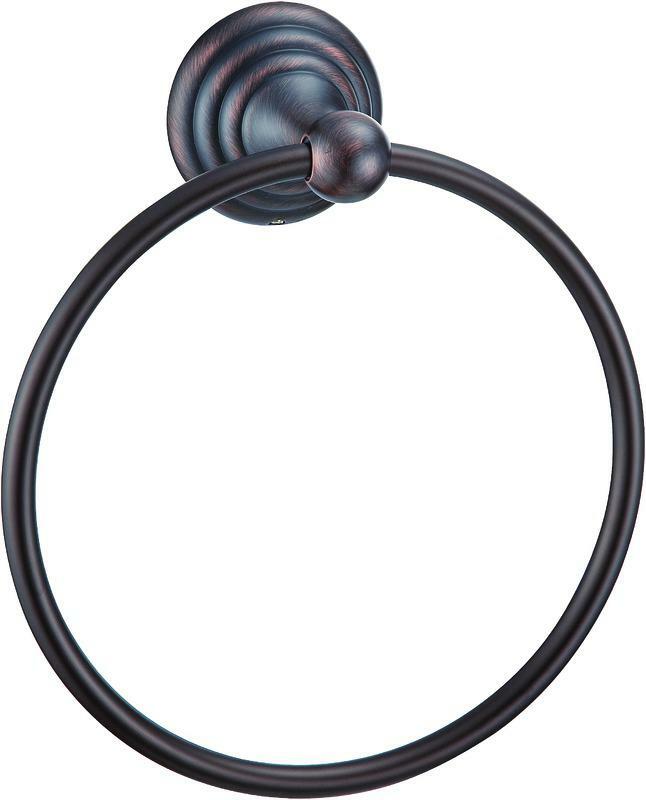 This classic towel ring is constructed in zinc and aluminum, finished in oil rubbed bronze and measures 6.93-inches in circumference. 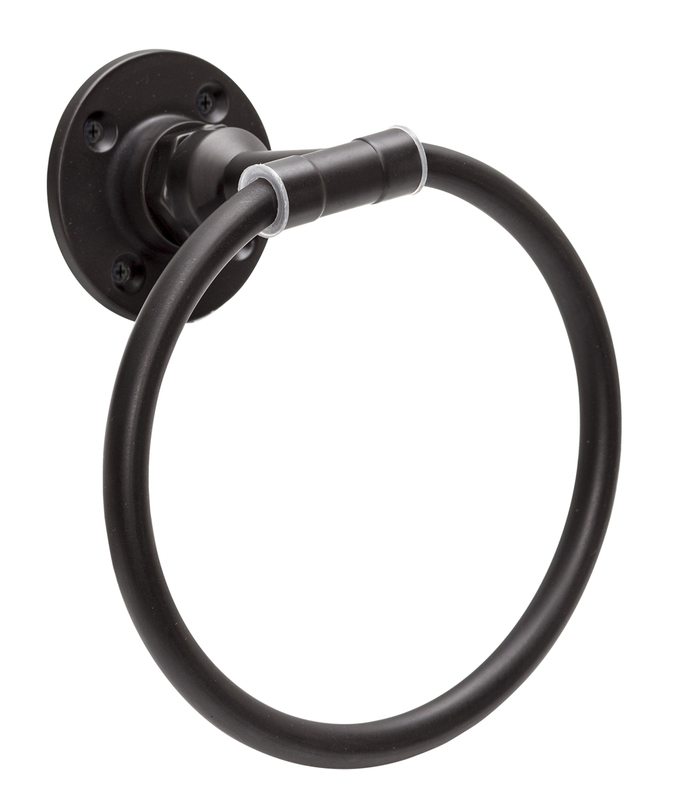 Ez anchor mounts are included with this towel ring for quick installation on drywall and a mounting template is conveniently printed on the back of the package. Anchors are a cleaner alternative to plugs and they are well-known for their steadfast strength and intuitive design. The Oakmont collection features a matching toilet paper holder, robe hook and towel bar for a complete bathroom set to enjoy for years to come. 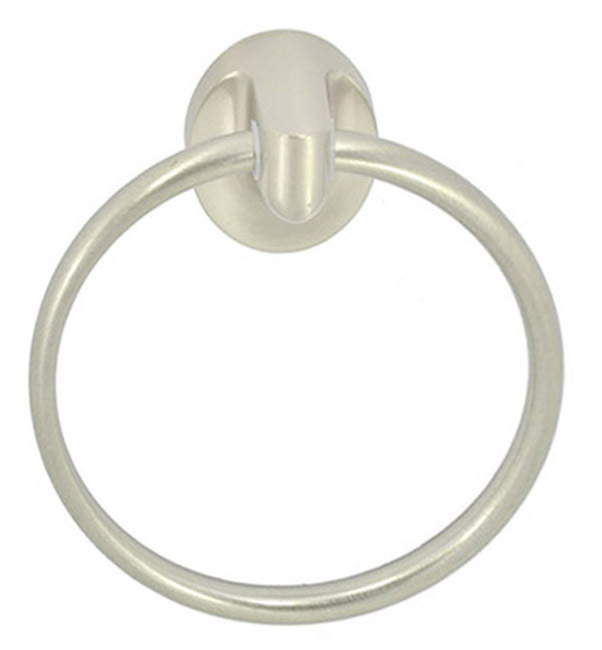 The Design House 561035 Oakmont Towel Ring comes with a 1-year limited warranty that protects against defects in materials and workmanship. The Design House 560300 Geneva 24-Inch Towel Bar adds an elegant accent to any bathroom wall with a unique design and quality appearance. 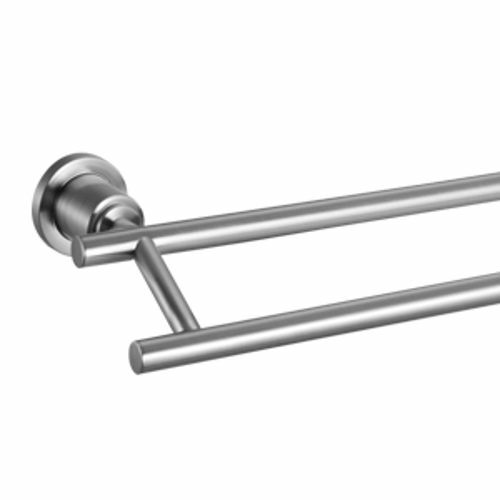 This modern towel bar is constructed of zinc and brass, finished in satin nickel and measures 24-inches. Ez anchor mounts are included for quick installation on drywall and a mounting template is conveniently printed on the back of the package. Anchors are a cleaner alternative to plugs and they are well-known for their steadfast strength and intuitive design. The Geneva collection features a matching toilet paper holder, robe hook and towel ring for a complete bathroom set to enjoy for years to come. The Design House 560300 Geneva 24-Inch Towel Bar comes with a 1-year limited warranty that protects against defects in materials and workmanship. 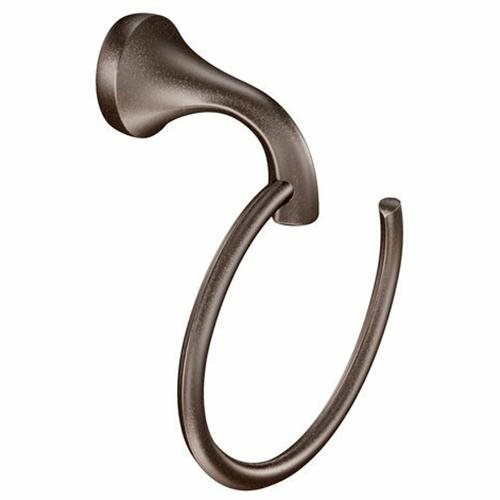 The Design House 560474 Torino Towel Ring adds an elegant accent to any bathroom wall with a unique design and quality appearance. This sleek open towel ring is constructed of brass and zinc, finished in brushed bronze and measures 6.5-inches. Ez anchor mounts are included with this towel ring for quick installation on drywall and a mounting template is conveniently printed on the back of the package. Anchors are a cleaner alternative to plugs and they are well-known for their steadfast strength and intuitive design. The Torino collection features a matching toilet paper holder, robe hook and towel bar for a complete bathroom set to enjoy for years to come. The Design House 560474 Torino Towel Ring comes with a 1-year limited warranty that protects against defects in materials and workmanship. 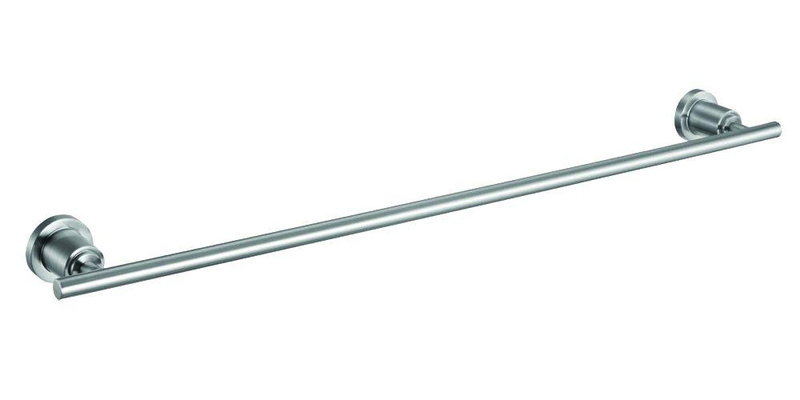 The Design House 533281 Millbridge 30-Inch Towel Bar is a classic addition to any bathroom. 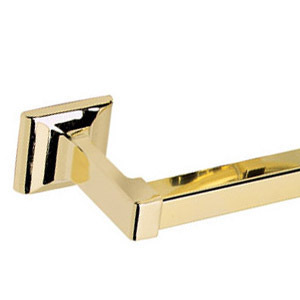 This traditional towel bar is constructed with zinc and aluminum, finished in polished brass and measures 30-inches. This bar has squared edges and a sturdy design for hanging medium to larger sized towels. You can hang this rack above a toilet, on a door, in a closet or along a wall. 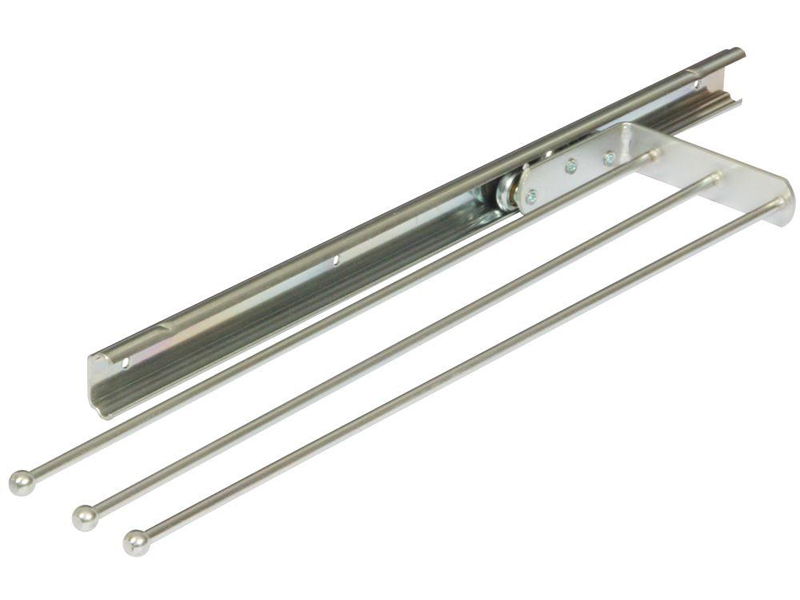 A standard mount and concealed screws are included for easy installation. The Millbridge Collection features a matching towel ring, toilet paper holder and robe hook for a complete bathroom set to enjoy for years to come. 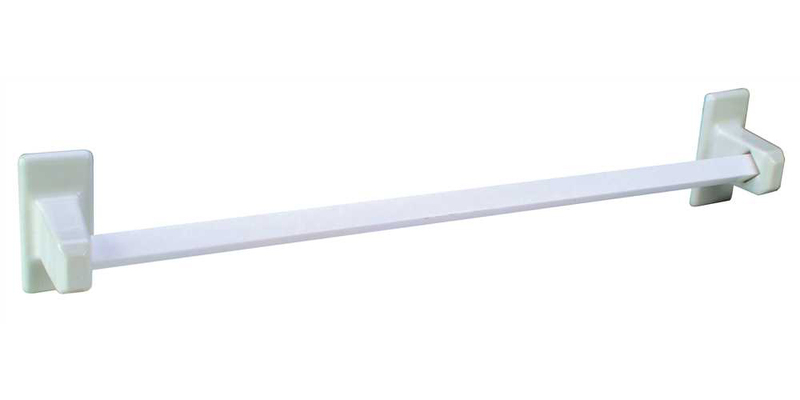 The Design House 533281 Millbridge 30-Inch Towel Bar comes with a 1-year limited warranty that protects against defects in materials and workmanship. 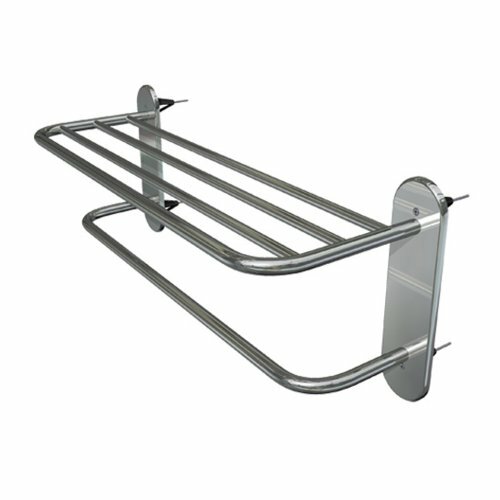 WingIts' Master Racks are the World's Strongest Towel Shelf and include Master Anchors, the world's strongest fastener, for easy installation - no blocking required. Made with 50% more Stainless Steel, longer retaining screws so the top shelf never sags and Stainless Steel back plates behind the escutcheons for added stability. Rated at 50 lbs. this towel shelf is built to last. 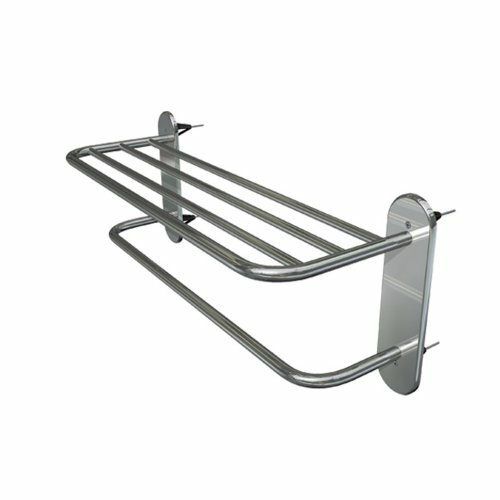 | Master Rack system installs with the patented WingIt fastening system with more than twice the strength of all other towel racks and does not require blocking | Master Rack can be installed where needed and used as an aid in getting in/out of the tub while holding many towels | Requires 3/4 In. hole for installation-use with APACHE200 industrial carbide drill bit, rated at 200 holes in ceramic wall tile | Includes 4 free MASTER Anchors "World's Strongest Fastener" for a guaranteed Installation Does NOT come with mounting hardware. 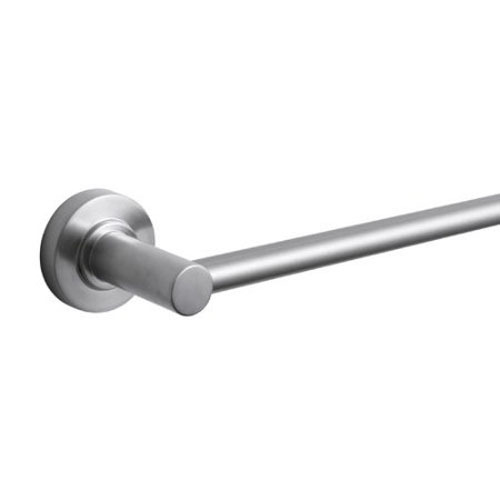 The Design House 560037 Eden 24-Inch Towel Bar adds an elegant accent to any bathroom wall with unique design and concealed screws for a quality appearance. 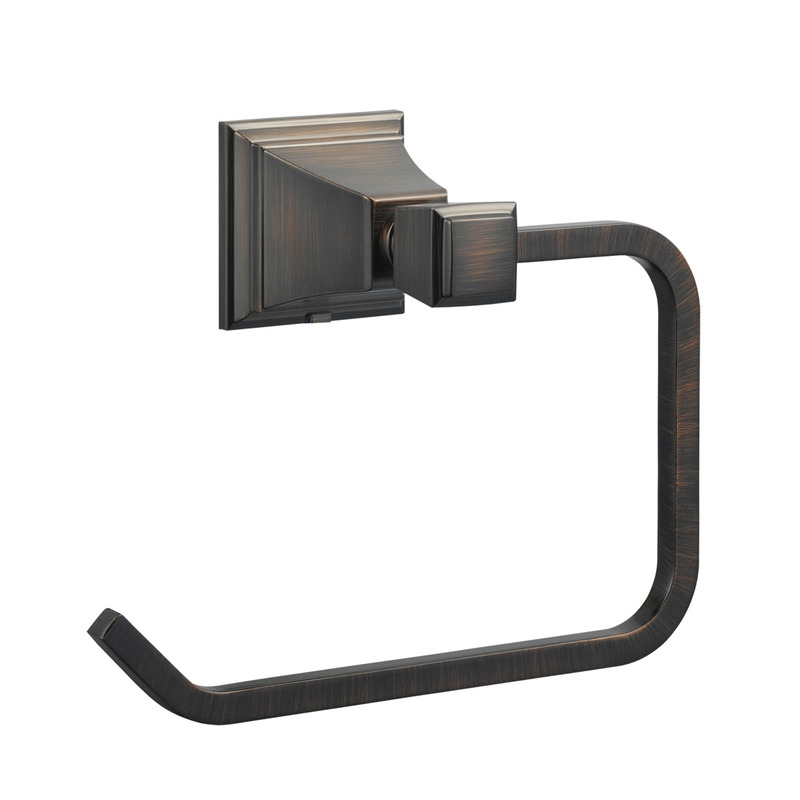 This vintage towel bar is constructed of steel and zinc, finished in oil rubbed bronze and measures 24-inches. Ez anchor mounts are included for quick installation on drywall and a mounting template is conveniently printed on the back of the package. Anchors are a cleaner alternative to plugs and they are well-known for their steadfast strength and intuitive design. This bar is sophisticated and modern with practical sturdiness for hanging multiple towels. The Eden collection features a matching towel ring, toilet paper holder and robe hook for a complete bathroom set to enjoy for years to come. The Design House 560037 Eden 24-Inch Towel Bar comes with a 1-year limited warranty that protects against defects in materials and workmanship. White Ceramic. Flanged-Grout In Type. Post Only (Pair), 21-1/2" X 4-1/4" X 3-1/4" Length. White Ceramic. Slip-On Type. Clips Included. Towel Bar Set, 24" Length. 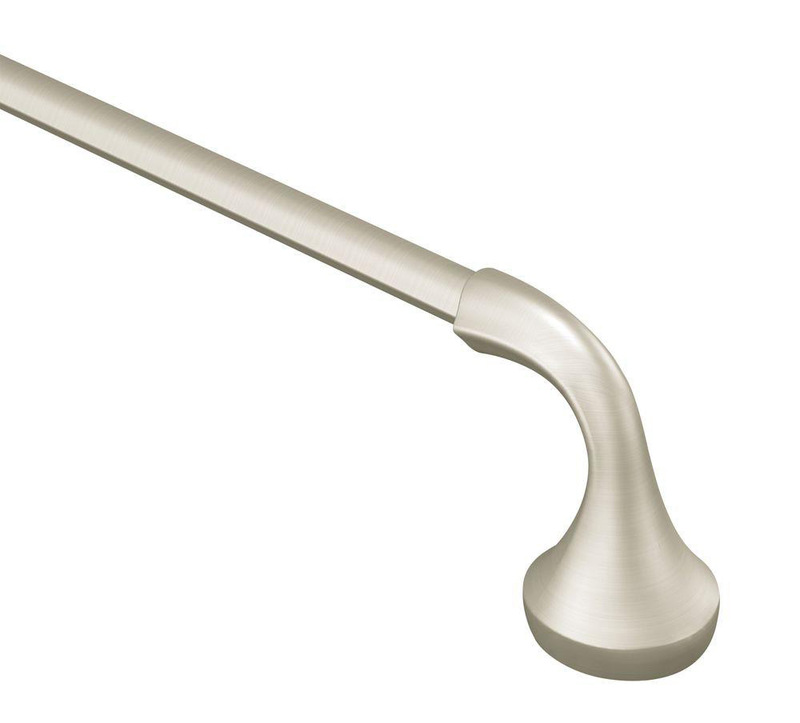 The Design House 539213 Millbridge 24-Inch Towel Bar is a classic addition to any bathroom. 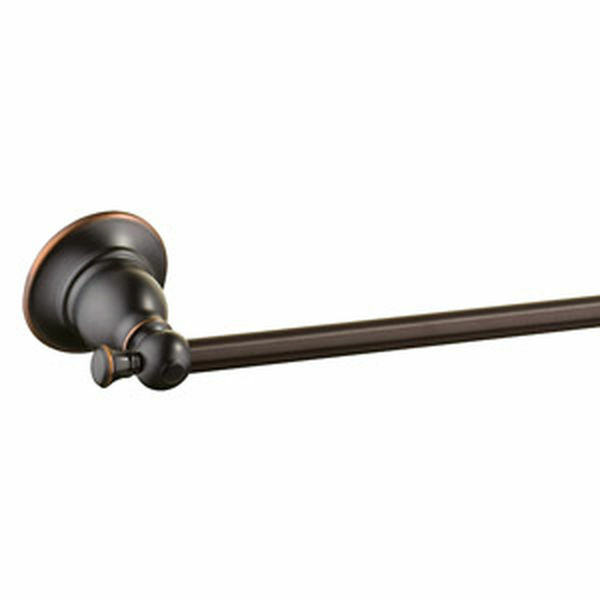 This traditional towel bar is constructed with zinc and aluminum, finished in oil rubbed bronze and measures 24-inches. This bar has squared edges and a sturdy design for hanging medium to larger sized towels. You can hang this rack above a toilet, on a door, in a closet or along a wall. A standard mount and concealed screws are included for easy installation. The Millbridge Collection features a matching towel ring, toilet paper holder and robe hook for a complete bathroom set to enjoy for years to come. 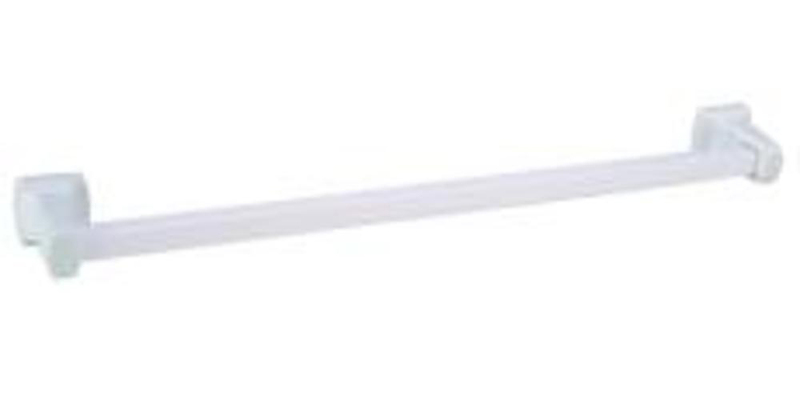 The Design House 539213 Millbridge 24-Inch Towel Bar comes with a 1-year limited warranty that protects against defects in materials and workmanship. 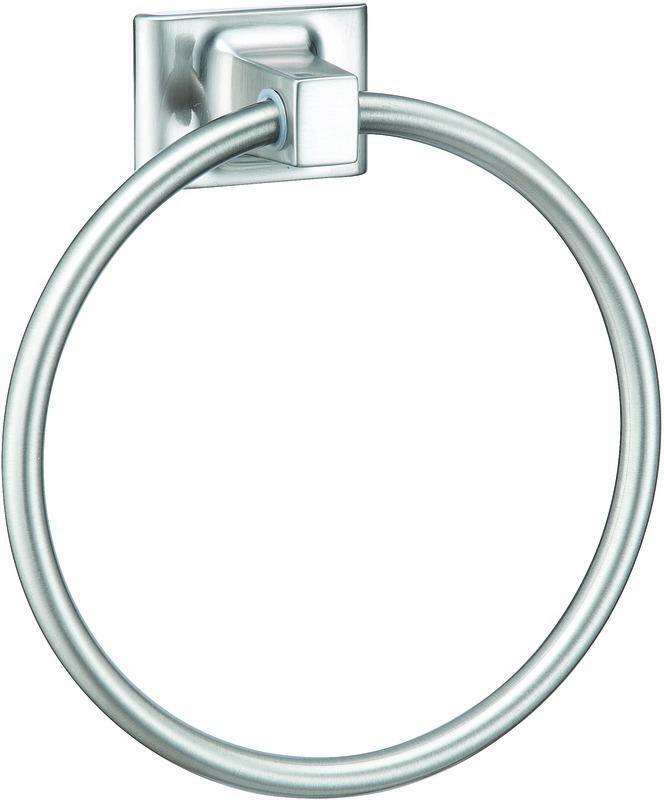 The Design House 580670 Towel Ring is easy to install and holds hand and drying towels - keeping them off the floor or vanity. This model installs directly onto a wall and features a satin black finish. Whatever your look - from traditional to the cutting edge, Design House has the styles and finishes to suit your style. From towel bars to robe hooks, our gorgeous accessories are affordable and easy to install, even for a novice. Design House is committed to providing high quality products for your home improvement projects. The Design House 580621 Toilet Paper Holder comes with a 1-year limited warranty. With years of hands-on experience, Design House understands every aspect of the home decor industry, and devotes itself to providing quality products across the home decor spectrum. Providing value to their customers, Design House uses industry leading merchandising solutions and innovative programs. Design House is committed to providing high quality products for your home improvement projects. Heavy Plastic. Can Be Cut To Desired Length. Spring Loaded Ends. 13/16" Width. 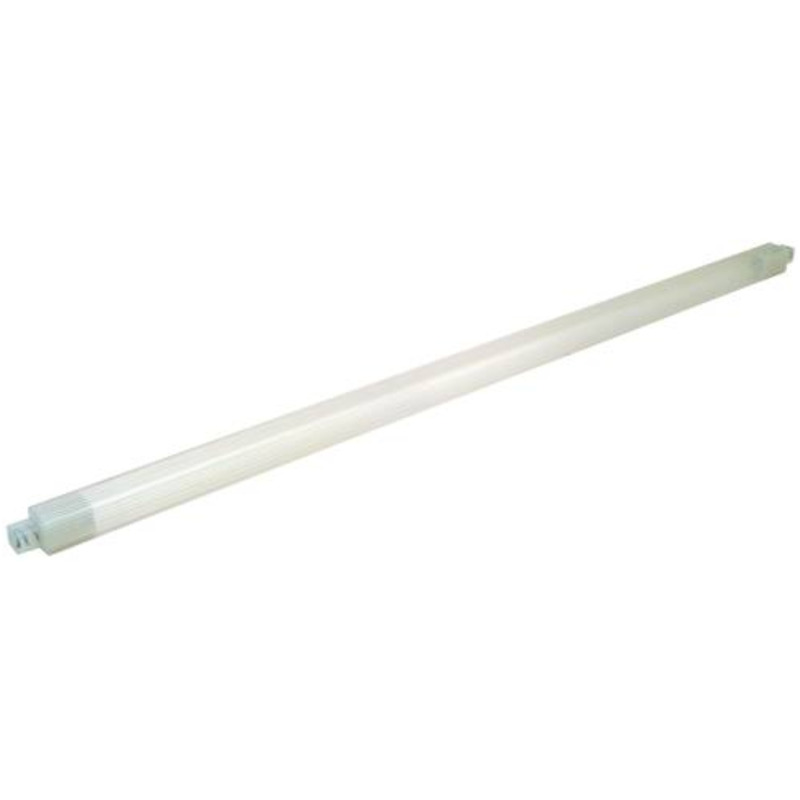 Length: 36", White. 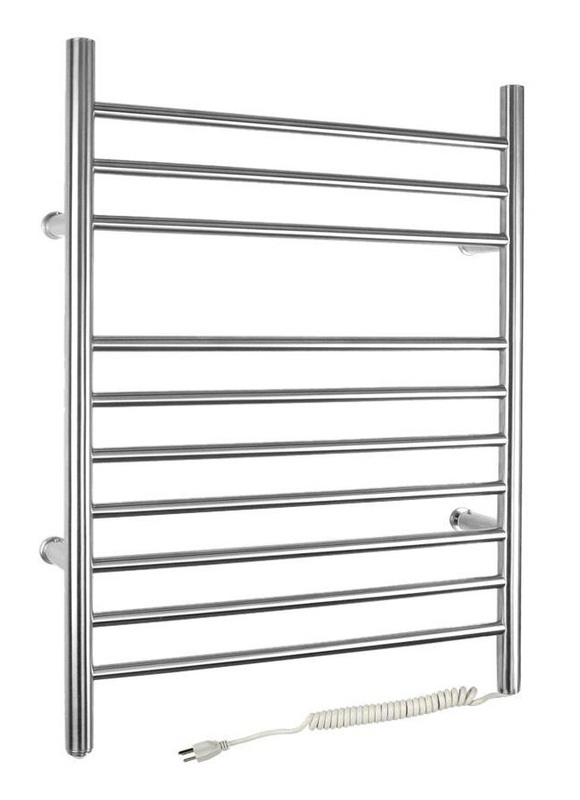 The WarmlyYours Infinity electric towel warmer is manufactured from stainless steel with a beautifully brushed finish and has 10 sleek bars to hang towels or a bathrobe. The plug-in model comes with a 6' long cord and plugs into a standard 120V outlet. of your home bathroom, laundry room, or even in a dorm room. Comes with a 2 year warranty. Versatile design allowd operators to choose which folded towel to use. 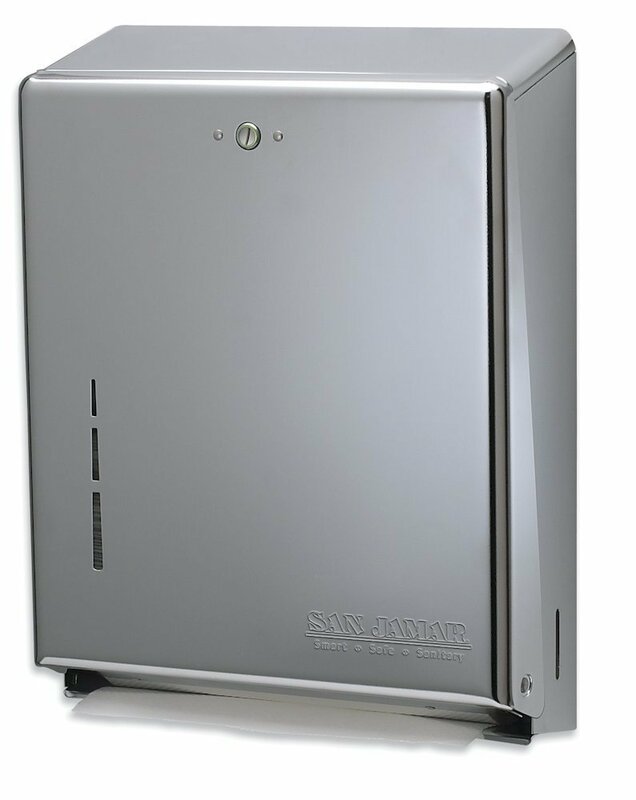 This durable dispenser has a large capacity for reduced maintenance costs and a standard key lock to prevent towel theft. Towels Dispensers Type: Folded Towel Dispenser; Material(s): Steel; Capacity (text): 500 Multifold/300 C-Fold; Color(s): Stainless Steel.